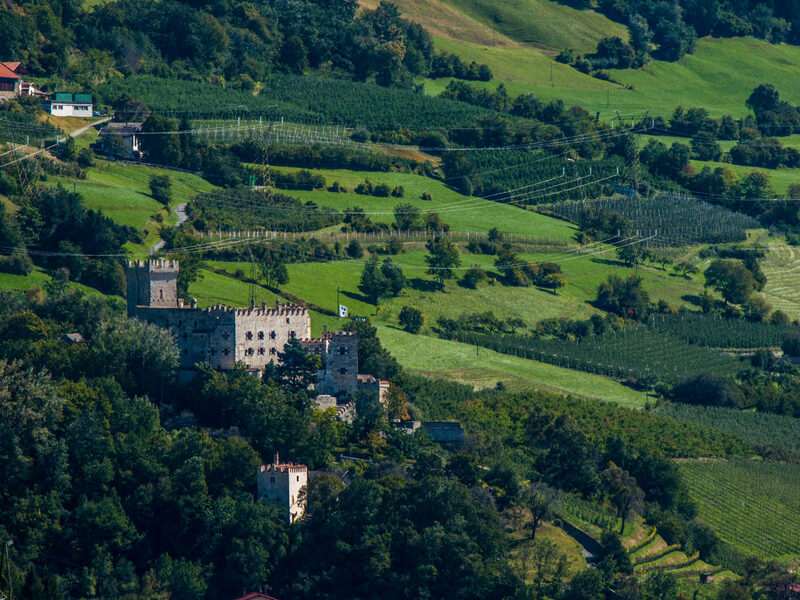 The Churburg Castle towers on the entry of the Matsch Valley above Schluderns and it is one of the mightiest and best preserved castles of South Tyrol with the world’s largest private armour chamber. 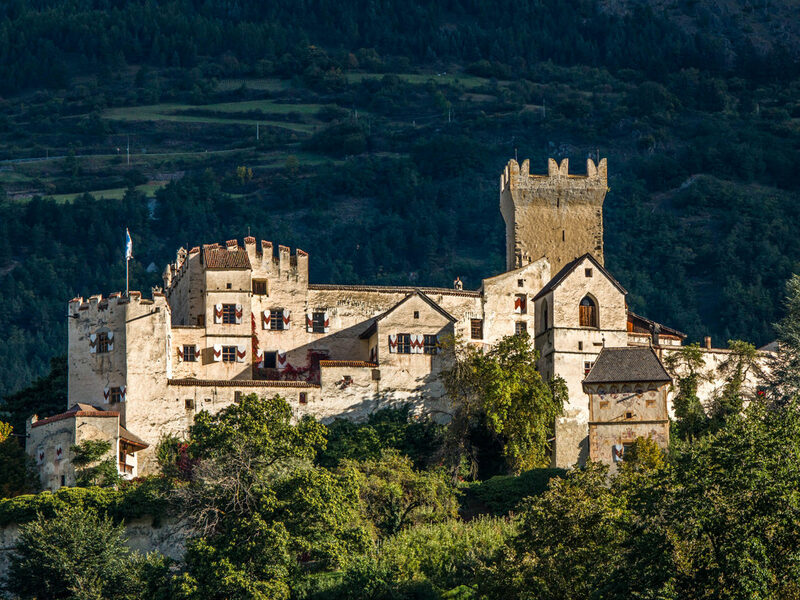 Churburg Castle in Vinschgau is a highlight for small knight’s fans and great romantics. 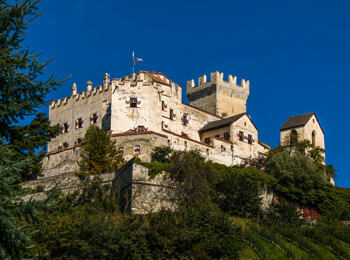 In the middle of the 13th century, bishop Henry VI of Montfort from Chur built Churburg Castle near Schluderns, mentioned in documents for the first time in 1259. Since more than 500 years, the castles owner is Trapp family. 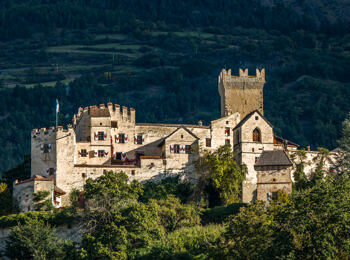 Churburg Castle in Vinschgau is a well-fortified building with a Romanesque core. The castle changed hands several times and the new owners made various constructions in gothic style. In the second half of the sixteenth century the ancient castle was transformed into a Renaissance castle. Between the end of March and the end of October, Churburg Castle can be visited via guided tours on all days except Mondays. The armoury of Churburg Castle exposes more than 50 sets of completely preserved armours, all belonging to the Matsch and Trapp families. The most impressive one is probably the 2.10 m high armament of the penultimate Matscher count: he must been a giant of a man as the armour weighs 45 kg. Another highlight visiting the castle are the arcades on the first floor of Churburg castle. In the Renaissance colonnades gallery, you find an impressive family tree of both families Matsch and Trapp in the form of a colourful quince tree. An event for the whole family is the South Tyrolean knight’s tournament, taking place each year on Churburg Castle. Tournaments, riding shows at night, the biggest medieval market of the Alps and many other attractions are offered during three days. Kids look forward to a lot of fun and adventures, riding on a camel or doing archery.